Sherrie Maricle is the leader and drummer for The DIVA Jazz Orchestra, FIVE PLAY, and The DIVA Jazz Trio, as well as co-leader of the 3Divas. 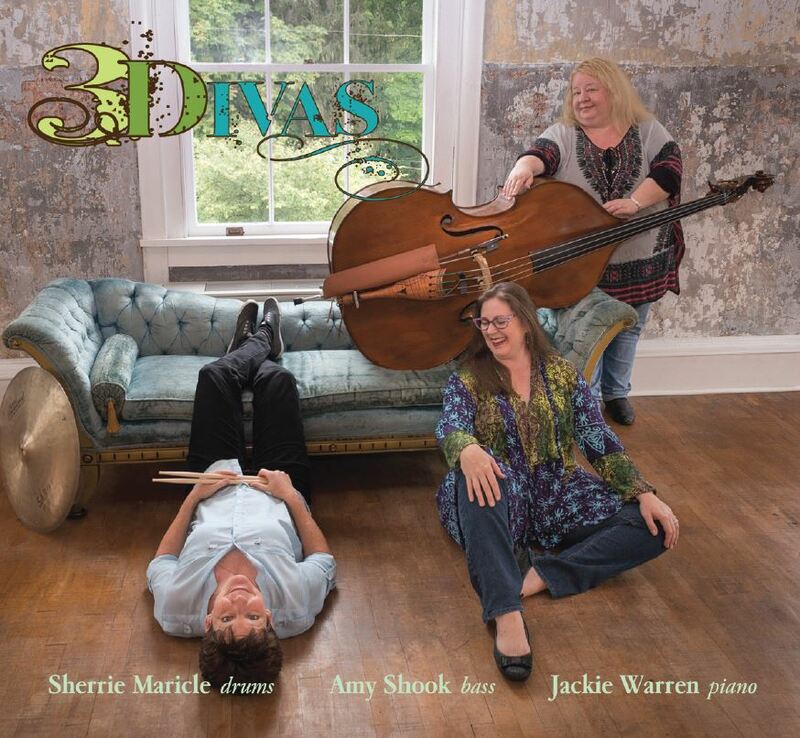 The 3Divas consists of Maricle on drums, Amy Shook on bass and pianist Jackie Warren. Their new self-titled 3Divas album is a deeply-swingin’ trio that plays traditional and contemporary standards from all genres of music, with their own uniq ue style; pioneering preparations, and sparkling musical bliss. The three met in May of 2014 at the Cleveland Playhouse while playing in The DIVA Jazz Orchestra as part of Maurice Hines’ award-winning show Tappin’ Thru Life. They clicked immediately, from their first shared downbeat, they became kindred-swinging spirits. The powerful trio conjurs a deeply swingin’ arrangement of “Beautiful Love” for the opening track and the performance is commanding. Maricle and Shook are a tremendous rhythm section, Warren fills the space above, with melodic constructions that prove this trio is in a whole other league. The trio, built around hard swinging rhythms and intense listening, is inspired during “I Thought About You.” Warren is a superb melodist with a plethora of interesting ideas to share. Moreover, her approach to the instrument is essentially a lyrical one, making her the perfect pianist for Maricle, who is all about that clear, feel good swing, that we all know and love. On the Latin selection, “Favela,” Warren displays some of her most vertiginous chops. What makes Warren such an interesting musician is her style is so diverse, the consistency of her vision and imagination, and the sheer musicality of her lines. Shook also performs a virtuosic solo and of course, the driving force behind all of this is Maricle’s creative and rock steady kit work. A delightful spin on youthful tunes of the 70s, and reimagined jazz standard treatments, add up to a delightful listen that one will find themselves going back to often. A total win! Be the first to comment on "3Divas | 3Divas"